Thomas Nelson, Jr. was born on December 26, 1738 at Yorktown, Virginia, the son of William Nelson and Elizabeth Burwell. He was known as “Junior” because his uncle Thomas Nelson was also of Yorktown. Through his mother’s Burwell family and her Carter ancestors, his family’s history can be traced back to King Henry III in England. Thomas Nelson’s grandfather Thomas Nelson, who was known as “Scotch Tom”, was born on February 20, 1677 at Penrith, England (located on the Scottish border) where records indicate he was Baptized in the local Church of England, and came to America about 1690. He founded and laid out the town of York in 1705. “Scotch Tom” was a merchant and built the first custom house in the colonies. He also built Nelson House about 1740 in the presence of William Nelson and Thomas Nelson, Jr. as an infant. This is the same house, still standing, that was to play an important role in the famous American victory over the British at Yorktown in 1781. “Scotch Tom” married Margaret Reade in 1710, and her family’s history goes back to Sir Thomas Windebank who was clerk of the signet to Queen Elizabeth I and King James I. Margaret Reade’s ancestor, Richard Reade, was knighted and acquired a property listed in the Domesday Survey, and the Reade family can be traced back to King Edward I and Eleanor of Castile. Thomas Nelson, Jr., received his primary education from the Reverend Yates of Gloucester County and went to England for additional schooling in 1753. He attended Eton and then entered Trinity College at Cambridge where he graduated in 1761. He returned home to the family mercantile business at the age of 23. While still on board his ship on the way back home he was elected to Virginia’s House of Burgesses. Nelson married Lucy Grymes on July 29, 1762 and they had 11 children. Through her mother’s family, Mary Randolph, Lucy was the cousin of many of the founding fathers who served with her husband including Peyton Randolph, Benjamin Harrison, Carter Braxton, the Lee brothers and Thomas Jefferson. Her grandfather, Colonel William Randolph, was born in 1651 and came to America from Yorkshire, England in 1674. Thomas Nelson, Jr. came to manhood just as the colonies began to protest the new direction in the mother country’s policy. In 1774, the House of Burgesses was dissolved by Lord Dunmore because of its resolutions censuring and condemning the closing of the Port of Boston. To protest this action, Nelson began spending some of his personal fortune, sending needed supplies to Boston. He arranged a Yorktown tea party and personally threw two half-chests of tea into the York River. Nelson was elected to represent York County at the first Virginia Convention which met at Williamsburg August 1, 1774. Prominent in the debate over the question of military force, Nelson was appointed colonel in the second Virginia Infantry Regiment in July 1775. He was elected to the House of Delegates in 1776, and was elected to serve in the Second Continental Congress where he replaced Patrick Henry. Nelson and Patrick Henry, had each been appointed Colonel of a Virginia infantry regiment, but Nelson resigned his commission to take a seat in Congress. Here he voted for independence and signed the Declaration of Independence. Nelson continued his service in Congress but was forced to resign in May 1777 when he experienced a bout of severe asthma. In the spring of 1781 Nelson was elected Governor, succeeding Thomas Jefferson, who had replaced the first Governor, Patrick Henry. The Virginia Legislature was on the run at the time, pursued by the British cavalry commander Banastre Tarleton into Albemarle County. By early September the American and French armies were closing in on Cornwallis who had decided to await evacuation of his army at Yorktown. When the French fleet arrived his fate was sealed. During the siege and battle Nelson led the Virginia Militia whom he had personally organized and supplied with his own funds. Legend had it that Nelson ordered his artillery to direct their fire on his own house which was occupied by Cornwallis, offering five guineas to the first man who hit the house. Either the cannoneers were inaccurate or the event never happened, but there are three cannon balls still lodged on the outer wall of the house. 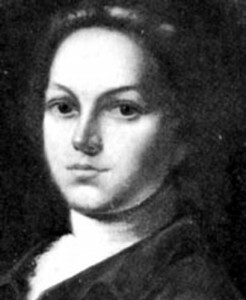 Thomas Nelson, Jr.’s personal fortune was ruined by the Revolutionary War. Raising a substantial money for the French fleet on his own credit, he was never compensated. In 1781 illness forced him to resign as Governor, and he moved to his son’s home “Mont Air” in Hanover County. He died on January 4, 1789 and is buried at the Grace churchyard at Yorktown. The illustrious General Thomas Nelson is no more! He paid the last great debt to nature, on Sunday, the fourth of the present month, at his estate in Hanover. He who undertakes barely to recite the exalted virtues which adorned the life of this great and good man, will unavoidably pronounce a panegyric on human nature. As a man, a citizen, a legislator , and a patriot, he exhibited a conduct untarnished and undebased by sordid or selfish interest, and strongly marked with the genuine characteristics of true religion, sound benevolence, and liberal policy. Entertaining the most ardent love for civil and religious liberty, he was among the first of that glorious band of patriots whose exertions dashed and defeated the machination of British tyranny, and gave United America freedom and independent empire. At a most important crisis, during the late struggle for American liberty, when this state appeared to be designated as the theatre of action for the contending armies, he was selected by the unanimous suffrage of the legislature to command the virtuous yeomanry intrepid of his country. In this honorable employment he remained until the end of the war, as a soldier, he was indefatigably active and cooly intrepid; resolute and undejected in misfortunes, he towered above distress, and struggled with the manifold difficulties to which his situation exposed him, with constancy and courage. In the memorable year 1781, when the whole force of the southern British army was directed to the immediate subjugation of this state, he was called to the helm of government; this was a juncture which indeed ‘tried men’s souls.’ He did not avail himself of this opportunity to retire in the rear of danger, but on the contrary, took the field at the head of his countrymen; and at the hazard of his life, his fame, and individual fortune, by his decision and magnanimity, he saved not only his country, but all America, from disgrace, if not from total ruin. Of this truly patriotic and heroic conduct, the renowned commander in chief, with all the gallant officers of the combined armies employed at the siege of York, will bear ample testimony; this part of his conduct even contemporary jealousy, envy, and malignity were forced to approve, and this, more impartial posterity , if it can believe, will almost adore. His life was gentle: and the elements so mixed in him, that nature might stand and say to all the world—this was a man. The circa 1740 Nelson House built by “Scotch Tom” Nelson before his death in 1745 in Yorktown, Virginia, and occupied by Thomas Nelson, Jr. during the Revolutionary War, is a National Historical Landmark maintained by the Colonial National Historical Park of the U.S. National Park Service. On Capitol Square (the capitol grounds in Richmond, Virginia) is the George Washington memorial known as the Washington Equestrian Monument. Six lesser statues are displayed on that monument positioned in an oval shape under Washington. Thomas Nelson, Jr. is one of them, along with Thomas Jefferson, John Marshall, George Mason, Patrick Henry and Andrew Lewis. The cornerstone for the monument was laid on February 22, 1850 in the presence of President Zachary Taylor and former President John Tyler. Cast in Germany, the statue arrived in Richmond in 1857. The Virginia State Council for Higher Education named Thomas Nelson Community College in Thomas Nelson’s honor in 1967. Nelson County, Virginia and Nelson County, Kentucky are named in his honor. 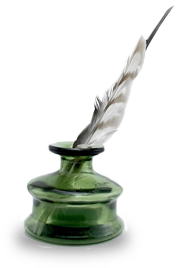 9 Responses to Thomas Nelson Jr.
Do you have the names of Thomas Nelson, Jr.’s children and, if so, who were they? Susan, Thomas Nelson, Jr, had 11 children. William, Thomas, Philip, Francis, Hugh, Elizabeth, Mary, Lucy Grymes, Robert, Susanna and Judith between 1763 and 1782. Would Francis Nelson, the son of Thomas Nelson, Jr., would his middle name have been Hamer? We have no record of a middle name for this son. Middle names were fairly uncommon at this time and none of the children of Thomas Nelson, Jr. have middle names that we know of. Do you have any other information such as birth date or location, marriage date or location, spouse’s name and birth information, children’s names of this couple on your Francis? Information such as this can prove of great value. Being a descendant of Francis Nelson, fifth son of Thomas Nelson, Jr., I have studied the children of “the signer” and know of no children named Charles nor Hamer as a middle name. As a representative of the eighth generation (The signer was a representative of the third generation), your mentioning Francis who was my ggrandfather (fourth generation), reminds me that Francis had no middle name and Hamer is not a known given name to me in our Yorktown group. Frank, are you volunteering to write something up? 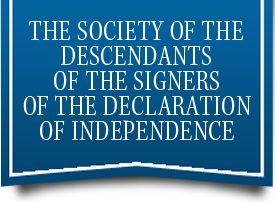 We are an all volunteer organization and we deal with the genealogy of the signers first, and while there may be a connection between the Nelson family and the Powhatan Nation, unless it shows up as a marriage among the descendants of the Signer, we will have no record of it. I do know of such a situation in the Harrison family tree where the name of Pocahantas shows up in the family tree in the 1870’s. It shows up when a ggg grandson married the daughter of John Meriwether Vaughn and Rebecca Pocahontas Ferguson. I do not know if Rebecca has ties to the Powhatan Nation or not. As to your question as to why these things are not mentioned, I cannot answer. en.wikipedia.org/wiki/Werowocomoco – Similarto Werowocomoco – Wikipedia, the free encyclopedia. Powhatan’s Chimney, a site of historical ruins associated with a house said to be … In 2006 the Werowocomoco Archeological Site was listed on the National …This could prove to be a link to the Nelson and Powhatan connection.